Featuring Jakob Dylan, the film explores the Laurel Canyon scene via never-before-heard personal details behind the bands and their songs and how that music continues to inspire today. 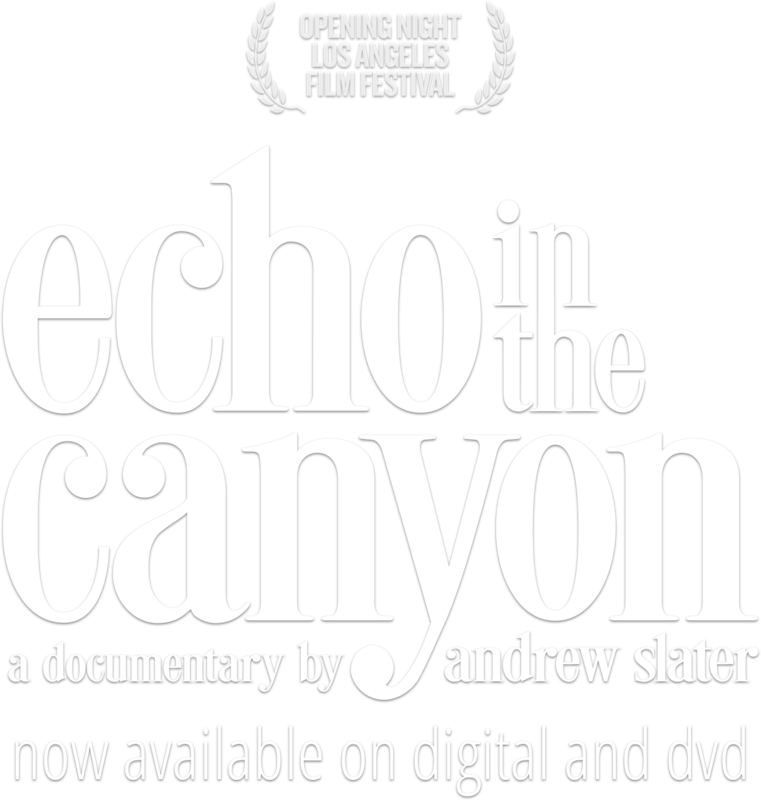 Echo in the Canyon contains candid conversations and performances with Brian Wilson (The Beach Boys), Michelle Phillips (Mamas & the Papas), Stephen Stills (Buffalo Springfield), David Crosby (The Byrds), Roger McGuinn (The Byrds) their contemporaries Ringo Starr, Eric Clapton, Graham Nash and slightly younger followers Jackson Browne and Tom Petty (in his last film interview) as well as contemporary musicians influenced by their music such as Beck, Fiona Apple, Cat Power, Regina Spektor and Norah Jones. © 2019 Greenwich Entertainment. ALL RIGHTS RESERVED.